We all know now a days using Multiple Twitter accounts is not so..... easier.We should always login to each twitter id to tweet or navigate through your accounts....But now the problem for these solution is sloved...!! Want to know about it. - Multiple Accounts Support And Many More...! 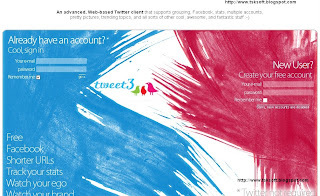 It is an Web App for Easy management for multiple Twitter accounts and brand monitor...! These is the Web App at present i am using for my twitter accounts..With these you can also attach Facebook account(Fan page) to post itself whenever you update your website or blog. Please Drop Your Valuable Comments If You Think This Article Is Useful For You. We all know Gmail is one of the most famous email based service in the world.It is one of the simple and easy way to use and which has most powerful features within and also under the hood it has more features where you can enable more advanced functionality which we call it as "Labs". Similarly, they may disappear temporarily or permanently. So,Try at your own risk of course none of these features will not harm you in any kind or gobble your email but they are just not polished at Google would want them to be. This Add-on shows you the latest mails you had in your inbox as a preview before you enter into inbox.It will be very important if your waiting for any important mail.Well if it loads slow for slow connections,I prefer you to use Basic Html. 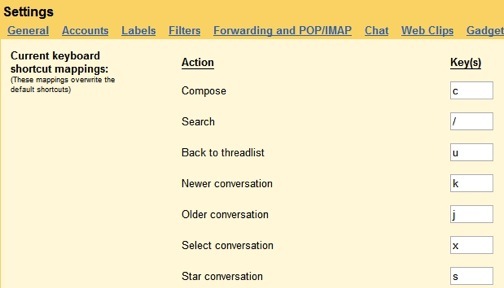 These Add-on helps to surf Next or Previous mails by holding right-click and move your mouse Left or Right to go for a previous or next messages.And if you move up you will be back into inbox.These is one of the best alternate way of browsing your mails,Of course you require a little practice. 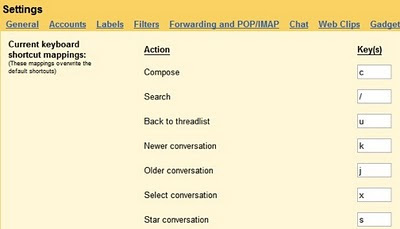 These is the one of the Best Add-on because we can Undo the mail we sent.It is a most helpful Add-on for many of them since all of us make a minor mistakes while we send mails to others.It adds a Undo option feature to allow the mail revert which we sent.Of course i think these feature will be available for 5-10 Seconds after you sent the mail.But these Add-on is worth for most of them and also useful. It lets you add custom keyboard shortcuts you define and it also add a new settings tab to re-define keys. Note :These Add-on Feature will not work if you have offline enabled. Clearly, Twitter is undoubtedly the topper when it comes to Social Media Marketing tools. Out of all the tools we use today for social media marketing, Twitter tools are the most versatile and obviously most sought after. One of the good feature about Twitter is that more than one person can use it at the same time. Multiple account tweeting is a reality today with big corporations or just about anyone with a peer team manages one single Twitter account collaboratively. Who does group tweeting and why ? Collaborative tweeting or group tweeting are done mainly when there is a team managing a single twitter account. Many people use Twitter for Customer Service, and there is often a team that works in shifts to manage a Twitter account 24/7. Social Media management requires 24/7 monitoring, therefore managing between multiple users becomes a necessity. 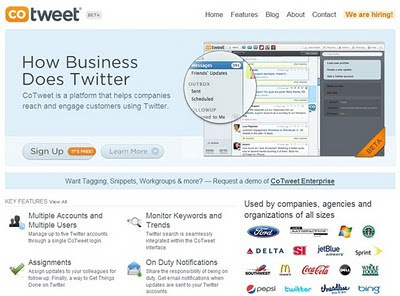 Here are some group tweeting/ collaborative shared Tweeting tools that should help you. A professional group tweeting tool that lets you manage your tweets among colleagues and peer team. 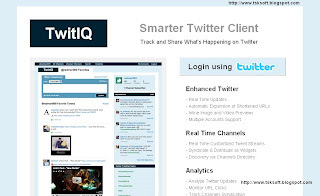 Analytics and event tracking for tweets are possible with this tool making it the best among the lot. Really impressive tool that lets you schedule tweets, run campaigns and even measure them right inside the tool. Very promising tool, but costs a bit on the higher side. Probably the most popular among all Hootsuite is the most reliable tool when it comes to scheduling tweets and multiple user management. 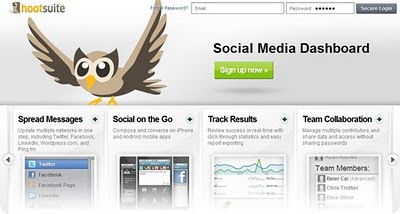 Easy to manage, Hootsuite is undoubtedly the best tool out there. This tool is more like a social media monitoring tool in itself, with excellent reports on social media mentions and sentiment reports. To add to it you can run campaigns with multiple users involved. Very impressive tool. This is a multi user twitter management tool and an analytics tool combined together with no other distractions. 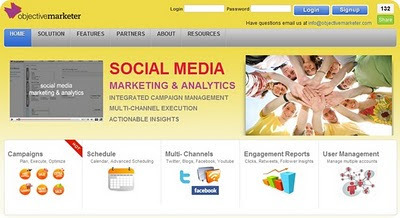 You can use it for campaigns on brands and specifically target a social media channel. however, comparing it with other tools, you’ll miss some advanced features here. An amazing social media dashboard tool created specifically for Twitter, it lets you do lot of advanced things like multiple user management, specific keyword monitoring etc. The best thing is that it has a very simple interface even with all the complexities. If you know more such tools, do let me know in the comments. Have a nice day and blogging...! Tracking user behaviour on a site can be quite tricky, I agree. You get lot of questions instead of answers starting from what metrics to track and what tools to employ to how long to track a metric. Having said that, I should admit that heatmaps are fun to look at and a more easy way to make meaning of your analytics metrics. Here are ten such heatmap tools that will make analytics easy for you. Its free however you have to request for an activation and email them with the site info you’re going to use it on. AttentionWizard uses advanced artificial intelligence algorithms to simulate human visual processing and attention. 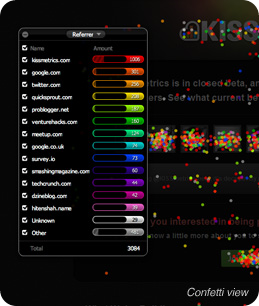 It instantly creates an "attention heatmap" of your Web page thatpredicts where someone would look during the first few seconds of their visit. This tool is more of a visual tracking tool than actual click tracking, so if you had a mock up design, just send it to this tool and it will predict you how a pair of human eyes will move along the design elements. Click Density is more than a heatmap tool, its more of analytics and advanced tracking. They have both paid and free versions as well. 1. Click Tale – See how much attention a specific website area gets from your visitors. Find what content your visitors care about the most, what they read, and what they completely skip over. 2. Crazy Egg – Another paid heatmap software that comes at low prices. Here is a list of sites that offer ping service for you to use. Simply submit your your site or feed to these ping services when you update or add new content. You will also find other tips for getting traffic to your Articles and website or blog. 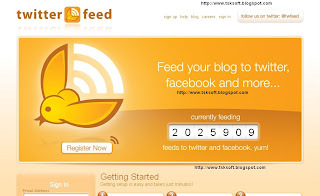 And for blogger go to Feedburner.com and then go to Publicize and Click the option PingShot located at left side below and make it active and of course try the below sites also for pinging...! so,If you find my article helpful, please Leave a comment. PingMyBlog.com is a service which does the hard work for you. We notify all the major blog directories in one go so that everyone knows about your latest blogs. It will not work for some reason if you use the RSS field provided. It does work just fine if you only use the Name and URL fields only. Check out the list below and include it on your blog (WordPress users can modify their ping list on the Control Panel, then Options, then Writing). Please use Ctrl+Click if you need To Open the site links in a New Tab Which helps you stay in these site and see more links. Yet another list of 75 pinging services are available at Binh Dot Com. You may check for your self, because some of the entries may be common in both the lists. Submit your site to Bing. 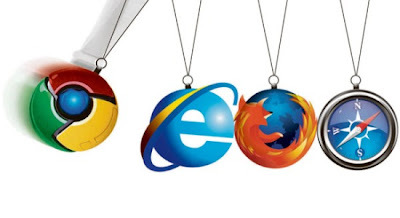 Generally the web crawler, MSNBot, can find most pages on the Internet. However if your site does not appear on Bing, you can send in the address (URL). Let me know if you find any dead links. Also alert me if you have a problem with any of the Ping Services so that I can take them off of from my List. Feel free to Contact Me if you have any suggestions By comments. I am always looking to add new links. Thanks! 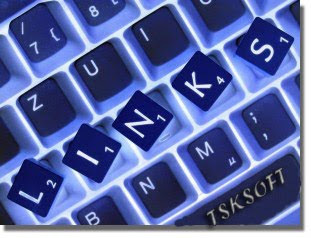 Share your links via comments if i miss any links...! Have a nice day....! 4. Generate an sitemap for your site. A informative sitemap is useful for your visitors and search engines. 5. Link to the most relevant pages on important pages of your website. Always try to link to important pages on every topic relevant page on your website.Try adding Related post widgets in Blogger |WordPress this help easy navigation to related articles within your site. Please post your valuable feedback through comments.